These questions are related, and answering them requires somewhat of an understanding of how PEMF therapies work when applied to specific health circumstances. The overall state of the individual’s body must also be taken into account. Some health problems require higher field intensities. Some respond better to lower intensities. Some problems require a broad range of frequencies, while others do better with a minimal number of frequencies, or a single frequency. Device selection, then, is exceptionally important to achieving the best results from your system. That being said, every magnetic system will produce benefit to an extent. The right magnetic system for individual circumstances though, will tend to produce results more quickly. Often, people make purchasing decisions based on affordability, so the right PEMF system may not be available to them. In this case, it will likely take longer for benefit to be achieved. Patience will be required in these circumstances. Everybody is different and every body is different. Many people experience tremendous results within the first week or two of using their system. For some people, results come more slowly, and we can react to that by fine-tuning the treatment protocol. The body takes time to heal once it is given the appropriate signal or stimulus. A fracture, for example, will take 8 to 12 weeks to heal to a point where the bone can be used. This does not mean the healing process is complete, but just that the body part is usable once again. Magnetic therapies can speed the healing rate, but they cannot work miracles. Illness is rarely, if ever, an instantaneous happening—the same is true of healing. We did not get to our current health state overnight, and we are unlikely to heal overnight. PEMFs do not drug the body into being painless or euphoric. We like to call that “numbing and dumbing.” Sometimes during the therapy process, drugs are important. But one of the goals of PEMF therapies is to be able to reduce the use of drugs if possible, and accomplish pain relief and improved function without changing the chemistry of the body. PEMFs work deep in the tissues to stimulate natural healing processes that have gotten ‘stuck.’ It is the healing of tissues that creates the reduction in pain and improvement in function and overall health. This is ultimately the best option – it is sustainable and unlikely to regress. Additionally, during the healing process, the overwhelming majority of people find benefits unrelated to their initial health problem: sleep, mood, vitality, gut function, etc. often improve before the original problem has healed enough to become noticeably better. Having proper expectations is important in the use of PEMF therapies. If you are depressed or anxious, for example, small health improvements may seem inadequate. We experience this most frequently with the elderly, who tend to have many health issues and therefore may not appreciate small benefits as the system provides them. To set realistic expectations, we must first understand the nature of the problem, the depth of the damage or dysfunction, the types of tissues involved and their respective regeneration potential, and the age of the patient. A 20-year-old will heal more quickly than an 80-year-old. The bodies of the young have more vitality, and their genetics support faster repair and recovery. Acute injuries heal much more quickly than chronic issues. Expectations must be set within the limits of technology and the regenerative capabilities of the tissues themselves. Miraculous things rarely happen quickly; PEMFs are not a magic bullet. They are, however, generally a better solution than exposing the body to surgical procedures or potentially toxic medications. Often, individuals seek PEMF therapies after having already tried and failed with surgeries or medications. This can become a process like putting Humpty Dumpty back together again – possible, but a long road. It almost always takes time for permanent, dependable healing to happen. In some cases, the best thing PEMFs can do is help you maintain control of your health problem. In this case, their benefit would be similar to that of medications, physical therapy, etc., but PEMFs are natural, non-toxic, and can be done in the comfort of your own home. The body is constantly regenerating itself – we are completely new bodies about every seven years. Various tissues have various repair and regeneration cycles. The cornea of the eye, for example, regenerates every 24 hours. Intenstinal cells can repair within 72 hours. Skin and muscle cells may repair in 2 to 3 weeks. Bone can take up to 7 years to fully repair. Some tissues do not repair well, if they repair at al. These tissues (ligaments, tendons, nerves, spinal discs, and brain cells) generally don’t have a great blood supply in addition to a low regenerative capacity. Many of the problems PEMFs are used to address involve musculoskeletal tissues, and therefore can be stubborn to treat. We cannot push the tissue to regenerate beyond its optimal capacity. True acknowledgement of the damage present in your body is a critical piece to solving the healing timeline puzzle. Gauging a specific tissue’s degree of involvement in the given health concern is important in understanding the amount of time it will take that tissue to heal. Problems in the body have degrees of involvement and different tissues are involved in any given injury. The degree of involvement can be considered in terms of layers or levels: the energetic level, the physiologic level, the pathophysiological level, and the pathologic level. Most health problems have at least the energetic and the physiologic levels involved. When there is any damage to tissue or cell injury, there will almost always be some degree of pathologic involvement. When there is pathology, most of the time the tissue or cells are irreversibly damaged; the goal of treatment would be to repair and regenerate as much of the tissue surrounding the area of irreversible damage as possible. The body does most of the repair and regeneration using its own innate programs. PEMF therapies help the body to repair and regenerate better and can accelerate the process, often by as much as twofold. To better understand how this works, we will use a common cold as an example. When a cold is first beginning, many people feel a vague sense of disease or discomfort, without any specific sense of where or what the problem is. This is the energetic level. Once a cold begins to produce a sore throat, slight temperature, or runny nose, the infection has moved to the physiologic level, that is, the body is now reacting to the affront. If the infection is allowed to progress to a greater extent in the body, it may produce bronchitis, rhinitis, pneumonia, etc. This is the pathophysiologic level, and this level is where most chronic problems are stuck. If the infection continues to progress, there may be more significant cellular damage, possibly leading to tissue and organ failure. This is considered the pathologic level. Recovery from this level is much more challenging. Treatments directed at problems in the energetic level produce much more dramatic and rapid results. For physiologic-level problems, treatments are more likely to produce noticeable responses after several days. Once there is some level of pathology (such as in the pathophysiologic level, like most chronic issues) the effects of treatments usually take longer to become noticeable—sometimes up to a few weeks. Once a health issue has reached the pathologic level, treatment outcomes are unpredictable. Results may take months to years, if they ever come. True and complete organ death is unlikely to be reversible with magnetic fields. We call this the “Lazarus effect” and it is very unlikely. Once you know the probable level of damage within the body, it is easier to predict how long it may take for therapies to produce noticeable results. Treatments may be directed at a particular problem of interest, but improvement is sometimes seen in other places, based on the involved layers of tissue. The level and extent of the problem seems to be more important than the strength of the magnetic field, or the frequencies used, or the treatment times. Optimizing these variables should shorten the process. The body has its own wisdom, and will respond to treatment in the layers and levels that make the most sense. We must respect these layers of healing and work positively with them. Patience and acceptance of this natural order will only aid in the healing process. For tissues that do not have the capacity for regeneration, PEMFs are valuable in reducing pain, reducing swelling, improving circulation, and stimulating whatever regeneration may be possible. The PEMF therapies we recommend penetrate all the way through the body without being used up by the body – they are not residual, and are not ‘blocked’ by anything in the body, even in areas where tissue is tightly packed. However, the intensity of the field is strongest at the point of contact, and decreases as distance from the source grows. In this way, it is similar to a light – strongest up close, and decreasing as you move away. This means that the part of the body next to the PEMF applicator will get the highest field intensity and the other side of the body will get lower field intensity. Therefore, applicator placement is important to results. Applicators are usually positioned near the place of pain or discomfort. Often, however, the pain is being generated in another part of the body entirely. For example, lower back problems often radiate pain down to the knee or foot. Shoulder problems often refer pain to the elbow or wrist. Spasticity in the lower extremities is caused by a problem in the spinal cord. If it is known that the lesion is directly in the tissue experiencing the pain, then it is appropriate to use the applicator in that spot. That being said, there is never any harm in placing the applicator up a bit higher, particularly to the spine, because so much sensory traffic from the lower extremities travels to the brain through the spinal cord, causing the brain to perceive the pain, and send a pain signal back to the extremity or location of the pain. So, for instance, if you are experiencing knee pain, it would likely help to apply the PEMF to the lower back. If the problem is in the arm, you may consider treating the neck. Not only is it important to position the applicators correctly, but they must be the correct applicators. Full-body mats support the entire body, but they may not be the right applicator for a local problem. (Thankfully, all full-body systems come with smaller pillow pads for this very reason.) Some magnetic systems allow for both the full-body and smaller applicators to be used simultaneously, in which case we recommend that you lay on your back on the full-body mat and place the smaller pad over the top of the body where you need more attention. This is what we call a ‘magnetic sandwich’ and it effectively increases the intensity of the magnetic field wherever both applicators are present. Dr. Pawluk always says, “You can’t build a house without bricks and mortar.” Wounds will not heal without proper nutritional support. In fact, wound healing often stalls or breaks down and becomes complicated because the nutritional state of the body is inadequate. Doctors often run into trouble doing emergency surgery because the condition of the body is not healthy enough to handle the stress of the surgery, and won’t support adequate recovery afterwards. A PEMF system can usually be purchased and used right out of the box by following the included instructions. However, it is almost always a good idea to obtain some support from someone well-versed in the therapy. If the treatment is not going well, or if you feel that your results are not adequate, professional support may be necessary. Most medical professionals will know a great deal about the clinical condition, but very little about magnetic field therapies. This is one of the main advantages to working with us at www.drawluk.com – we know what we offer, we use these systems ourselves, and we are always happy to help. PEMF therapy, as we have said, will not produce a ‘Lazarus effect.’ There are some health problems that cannot be corrected with PEMF therapy alone. One common example is with bone-on-bone arthritis in the knee or hip. In this circumstance, the damage is so extensive and so many tissues are involved that a joint replacement is often inevitable. Even in this situation, however, PEMF therapies can make a huge difference one way or another. If the magnetic therapy is not controlling the pain of the condition, it can assist the tissues to be as healthy as possible prior to having the joint replacement. After the surgery, the recovery time is expected to be shorter with the help of magnetic field therapy, and with a decreased risk of complications. In addition, some research and feedback from patients indicates that the prosthesis integrates better with the bone, making the new joint feel stronger. This osteointegration may also decrease the likelihood for future breakdown. Some medications are very challenging to the body’s energy systems. For example, antidepressants, neuroleptics, and sedatives may change the way the body perceives pain signals, thereby blunting some of the pain-reduction benefits of PEMF therapy. We would never suggest that someone stop taking or reduce the dosage of their medication without a medical consultation. We raise the point only to inform you that occasionally, pain reduction is not as successful as we hope because of the medication effects. This is not to say that the other benefits of PEMFs in healing and regeneration will be lost – they will not. This only relates to the sensation or perception of pain. On the other hand, it is not uncommon that the same medications may be improved in their results when combined with PEMF therapy. Medication and nutrients tend to be better absorbed in the body when PEMFs are used. It is occasionally possible for people to reduce their medication once PEMFs have been used regularly for a while. Again, this should only be done with medical guidance. PEMFs can open cells and cell membranes to the point of unloading toxins stored in the tissues of the body. This type of response is, in the long-run, a desirable action. However, it may be unpleasant while it is going on. The length of the detoxification will vary from patient to patient. Rarely will PEMF therapy have to be stopped. 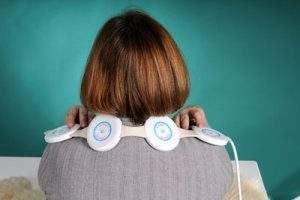 Those individuals with multiple chemical sensitivities may find magnetic field therapy intolerable until such time as the major detoxification can be achieved. Research in the pain management program at Hopkins found that some individuals with chronic pain have personality traits that result in very poor treatment outcomes. These individuals often experience negative reactions even to placebo magnetic fields. When these patients are followed over time, some complain that their problems have been made worse by the (placebo) treatments. In these situations, it is not possible to please, and therefore PEMF therapy is not an appropriate treatment modality. Psychological counseling would be a necessary part of a pain management program. If results are not being achieved, even after changing protocols and adequate use, it is possible that the wrong device has been selected. Since many health problems for which PEMFs are being used are stubborn and chronic, it may take up to 6 months to achieve desirable results. If the treatment program is too gentle, or there is an inadequate amount of time spent on the system, results may not be seen in the first few months. Slow or non-existent improvement is usually a result of insufficient field intensities. Understanding and managing the above scenarios would usually lead to positive results with PEMF therapies. Adjustments in the treatment program will likely be necessary over time to address various problems in the body and also to properly handle the needs of any specific body area.